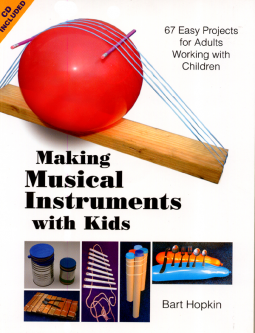 Written for adults, this hands-on guide demonstrates how to make easy musical instruments with children. Detailed instructions are included for making more than 60 unique instruments that are suitable for children as young as five years. Serving as a resource in the classroom or home, this manual is extensively illustrated with drawings and photographs along with an audio sample of the instruments in lively solo and ensemble pieces.